As the celebrations to welcome in another year come slowly to an end, can I start off by wishing everybody a very happy new year. 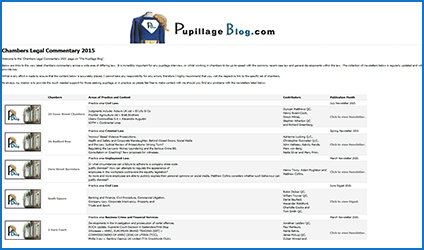 This coming year will see additions to ‘The Pupillage Blog’ with a wider remit of legal views and opinions as well as supporting all of those seeking to attain Pupillage, along with those who are well established within Chambers. As always, views will not be supportive advice, but merely a considered standpoint in light of the legal topic discussed. Reflecting upon 2015, the blog established an even wider following of pupils and practitioners in law, with many more Chambers interacting directly so as to furnish wider opportunities of Pupillage as soon as they became available. 2016, will see a similar approach and as always please do let me know how your interviews go! 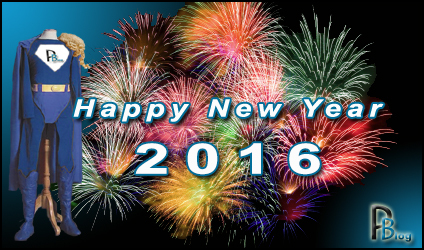 Well here’s to 2016 as I raise a glass to you all and wish you a very happy and prosperous year ahead! Following my return back to Pupillageville from my August festivities, I have received an update and communication from the Bar Council in relation to a new directive for supporting pupillage. The first ever ‘Bar Council Pupillage Fair’ has been announced. This new incentive I hope will support the existing Pupillage Fairs, but importantly will encourage an additional opportunity for individuals to openly discuss and gain a wider understanding of both pupillage and realistic opportunities which exist in the legal marketplace of chambers. I note that attendees can now register their place to attend the Pupillage Fair, so my recommendation is to get your name and place on the list for 21st November! The first ever Bar Council Pupillage Fair will take place on 21 November 2015 and will be a hub of information for students considering a career at the Bar and a chance to meet chambers as well as course providers. Running alongside the Chancery Bar Association’s careers fair, the Pupillage Fair will be open to all chambers looking to recruit, irrespective of their specialism. • Learn about the Pupillage Gateway, the online application system for pupillage operated by the Bar Council. Philip Roberston, Director of Policy at the Bar Council, said: “Careers advice on how to become a barrister, which includes what’s required to succeed at the Bar and the challenges as well as the opportunities involved with the profession, is often hard to find. “The point of the Pupillage Fair is to bring all that information, as well as people who can provide a wealth of guidance about a career as a barrister, under one roof. Students thinking about a career as a barrister can use the fair as an opportunity to find out more and help them decide whether the Bar is the path they wish to go down and whether particular specialisms at the Bar are of interest to them. As we are joining forces with the Chancery Bar this year, there will be a healthy representation from Chancery sets as well as exhibition stands, information and workshops tailored for all specialist areas. The fair is an excellent platform for students to meet chambers and course providers face to face, as well as a chance for chambers to widen their net in the search for potential talent. Updates include the latest pupillage opportunities to chambers legal commentary. 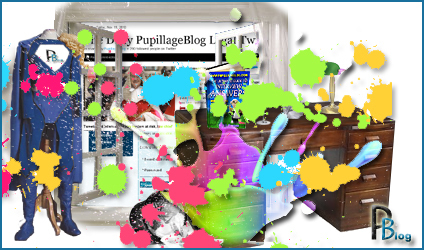 Over the weekend there have been major updates on ‘The Pupillage Blog’. ‘Current Pupillage Opportunities 2015‘ has now gone live and includes 16 differing sets of chambers offering pupillage opportunities. In addition, a new feature has been added to the Blog entitled ‘Chambers Legal Commentary 2015‘. This new page is incredibly important for any pupillage interview, or supporting those who are now working in chambers. The linked commentary provides a clear unfettered approach to compelling legal opinions, developing case law, succinct application of the differing legal disciplines along with general developments within law at the Bar. The collection of linked newsletters and digests will be regularly updated and is designed to provide another supportive mechanism of reliable and compelling legal opinion. Finally, whether you use either Twitter or Facebook, ‘The Pupillage Blog’ is updated regularly daily across both social network platforms, so as to support you whilst you are on the move with all the latest important legal news and views. So until my next entry, keep watching the Blog as updates will be posted regularly. Back again after a splash of paint…. After what has been an incredibly busy few months, I am pleased to say that normal service has been resumed! So please accept my apologies for the lack of posts upon ‘The Pupillage Blog’. I am pleased to say that the Blog is currently undergoing a splash of legal paint and will therefore be updated throughout. The latest pupillage offerings will be back online shortly, along with third six pupillage vacancies. As usual, you will of course be kept up-to-date via Twitter/Twitterfeed or Facebook with all the pupillage opportunities, legal news, views and recommended legal reading and reviews. So until my next entry, keep watching the Blog as updates will be posted regularly.